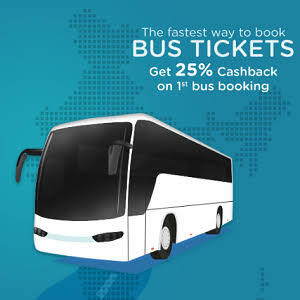 Now book bus tickets and get amazing cashback from mobikwik. This offer is start from Today that is 15 sept and last for 30 sept. Hope your are enjoying. 5. Apply coupon code – 15SEP16 if you are a new user or BUS25 if you are existing. Get 50% cashback on your first ever Bus Ticketing done MobiKwik’s Android or iOS App or Web. There is no minimum amount spend to redeem the cashback. Offer valid only on 15th September, 2016 from 12:00PM to 11:59PM. Use code “BUS25” and get 25% cashback on your Bus Ticketing done MobiKwik’s Android or iOS App or Web. Offer valid from 15th September to 30th September, 2016.